Insitu is home to Worcester's Stressless Comfort Studio, displaying an extensive range of beautiful reclining chairs and sofas for you to relax and try out. Our large display includes the latest designs, colours and leather and fabric ranges with features like the Leg Comfort electric footrest and the Balance Adapt™ Signature Base for improved comfort and movement. *Call 01905 613515 for full details about our Upgrade Offer,Price Promise and quicker delivery on selected Stressless..
Our highly experienced staff can guide you through the collection and with our unrivalled expertise can demonstrate and advice what features and options would be the best design to suit your needs. Every member of the Insitu sales team has visited the factory in Norway and have been selling this fantastic range of furniture for over ten years. All Stressless recliners are available in three sizes to suit people of different stature. 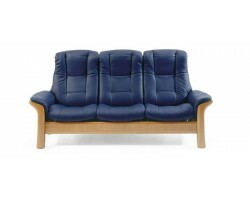 We also have sofa, corner and Cinema seating that can be coordinated to fit in with your existing interior.